Steelheart is, simply put, the best superhero novel I’ve ever read. Granted, it’s also the only superhero novel I’ve ever read, but the thought put forward into the way super powers work in the world of the Reckoners is a refreshing change of pace from the more mainstream view of superheros – they’re just super and the details needn’t worry you. Sure, there are plenty of origin stories, and if you dive deep into the land of comics you can find all the details you want – but to have a depth and width of superpowers so well described in so short a span as a single novel is rare. Of course, this shouldn’t surprise anyone who has read previous Sanderson books, like the Mistborn series or the Stormlight Archive series. 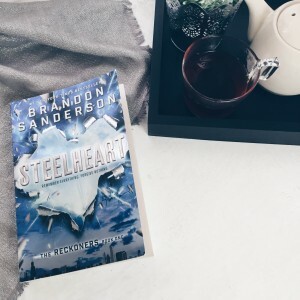 Like those other offerings from Sanderson, the world of Steelheart is perfectly paced and plotted, only this time instead of magical systems we’re treated to superpowers, which are the same thing when you get down to it. The protagonist of Steelheart, David, is a teenager hell-bent on obtaining vengeance upon one of the world’s most powerful ‘Epics’, or super-powered individuals (the eponymous Steelheart). 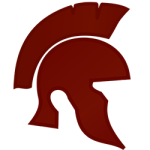 Characterization is the one area of Steelheart that I would critique. Creating full and rounded characters is definitely not a hallmark of Sanderson, at least in the initial offerings of a series. It typically takes him a couple books to really delve into the meat of a character, so here in Steelheart most of the characters come across as relatively flat, even when the twists (which are telegraphed a bit about halfway through, but still do not lack for punch when they are revealed) come around and seem to drastically change the nature of some characters and the relationships between them and David. Still, Steelheart is an incredibly fun read and a promising new world to pay attention to in the realm of YA.